William Winslow is not your average 8-year-old. While most kids spend their free time playing tag or riding bikes, this second-grader at A.B. Combs Elementary School in Raleigh, N.C., has a more philanthropic hobby: He fights childhood hunger in his community. This year alone, William's food drive collected enough food and money to keep at least 16 kids fed for an entire year, William's mother told The Huffington Post in an email. It all started when William heard about BackPack Buddies -- a N.C. hunger-relief program run by Inter-Faith Food Shuttle -- from a guidance counselor at school. 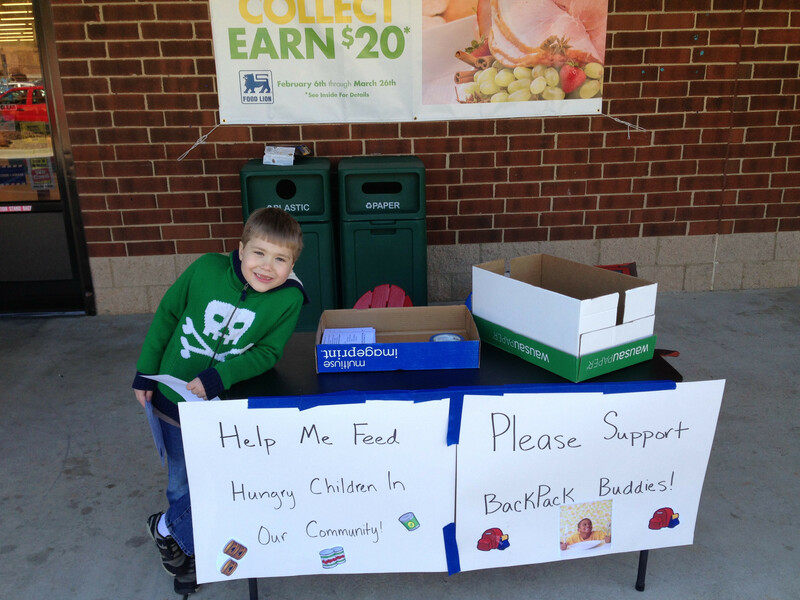 Struck by the problem of food insecurity in his own community, William asked his friends to bring donations for BackPack Buddies to his 7th birthday party instead of gifts. "I can’t stand the thought of my classmates being hungry." 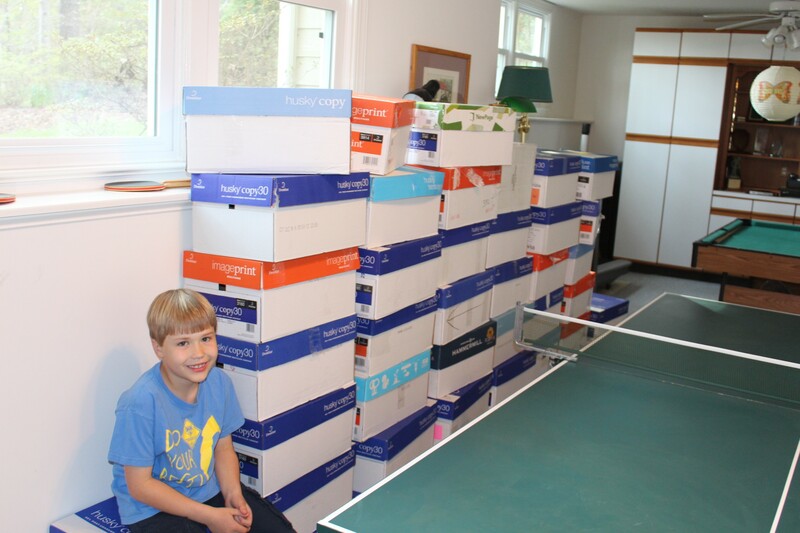 William's first food drive, in February 2013, raised $305 and collected 1,400 pounds of food. This year, however, William wanted to expand. 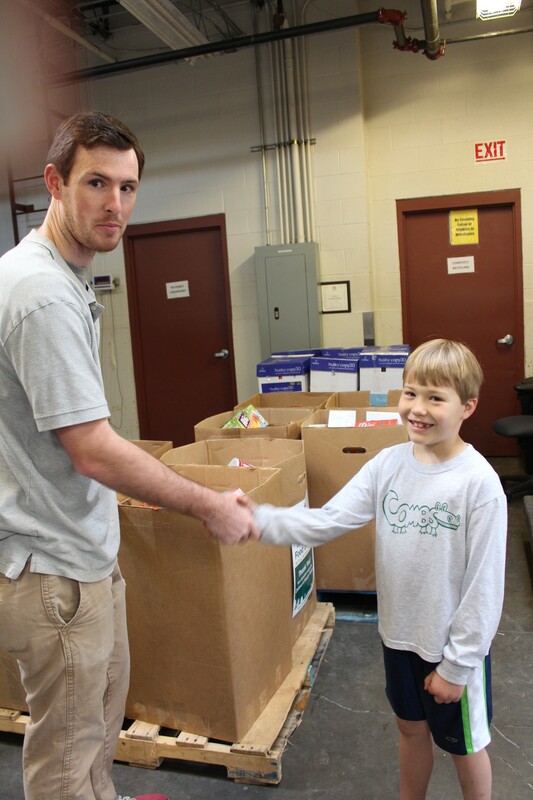 Last weekend William's second annual food drive began, with four grocery stores and a restaurant participating. 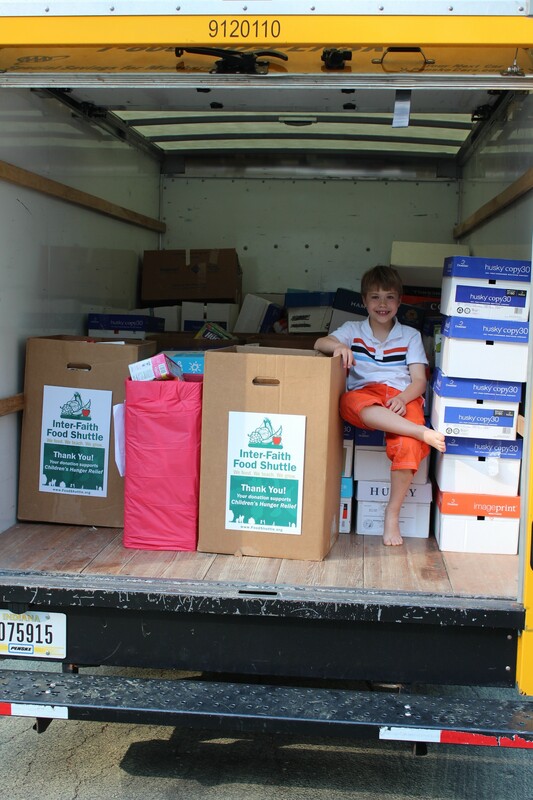 With the help of his parents and around 50 volunteers, William gathered 3,335 pounds of food and more than $3,000 in donations, so far. Recently, the 8-year-old received a $500 grant from a nonprofit working to end childhood hunger called the Sodexo Foundation, Yahoo Shine reported -- and he plans to expand the program even more. Clifford told HuffPost that when asked by his father what he sees in the future, William responded, "I see no kids hungry." "It took my breath away. He just believes with his whole heart that he can help make this better. He doesn’t understand why people wouldn’t help kids in need," Clifford said. "He just wants to help feed hungry kids and he expects others to help him. I don’t think he gets how inspiring he is or how incredible it is to be so empathetic at such a young age." Find out more about William Winslow's food drives, including how you can help, here.